Designed specifically for Trane/American Standard air-handler units. Model FFR-TEM3/4: Standard filter rack. 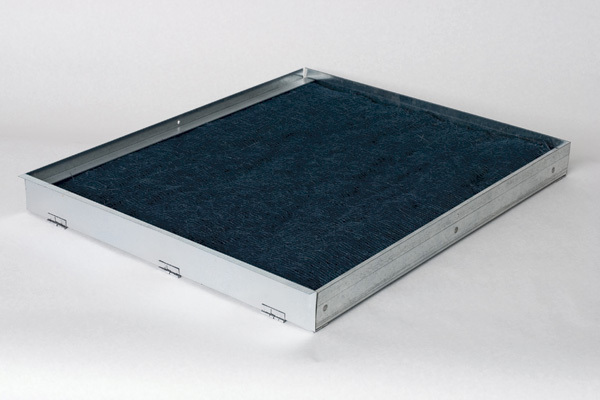 Model FFRD-TEM3/4: Standard filter rack with hinged access door. FFRD18.5TEM3/4 fits TEM3A0B18-36 and TEM4A0B18-30. FFRD23.5TEM3/4 fits TEM3A0B42-60 and TEM4A0B36-60. FFR18.5TEM3/4 19" 21-1/4" 18" 18" x 20" x 1"
FFR22TEM3/4 22-1/4" 23" 20" 20" x 22" x 1"
FFRD18.5TEM3/4 19" 21-1/4" 18" 18" x 20" x 1"
FFRD22TEM3/4 22-1/4" 23" 20" 20" x 22" x 1"
Model FFR-TEM4/6: Standard filter rack. Model FFRD-TEM4/6: Standard filter rack with hinged access door. FFR/FFRD18.5TEM4 fits TEM4A0B18-36 and TEM4A0B18-30. FFR/FFRD23.5TEM4 fits TEM4A0B42-60 and TEM4A0B36-42. FFR18.5TEM4/6 19" 21-1/4" 18" 18" x 20" x 1"
FFR23.5TEM4/6 24" 21-1/4" 20" 22" x 20" x 1"
FFR26.5TEM4/6 27" 21-1/4" 24" 24" x 20" x 1"
FFRD18.5TEM4/6 19" 21-1/4" 18" 18" x 20" x 1"
FFRD23.5TEM4/6 24" 21-1/4" 20" 22" x 20" x 1"
FFRD26.5TEM4/6 27" 21-1/4" 24" 24" x 20" x 1"